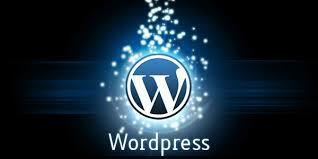 WordPress is the premier content management system for those seeking an easy, user-friendly way to set up and maintain a website. This post takes you through the basics of getting a site live quickly. 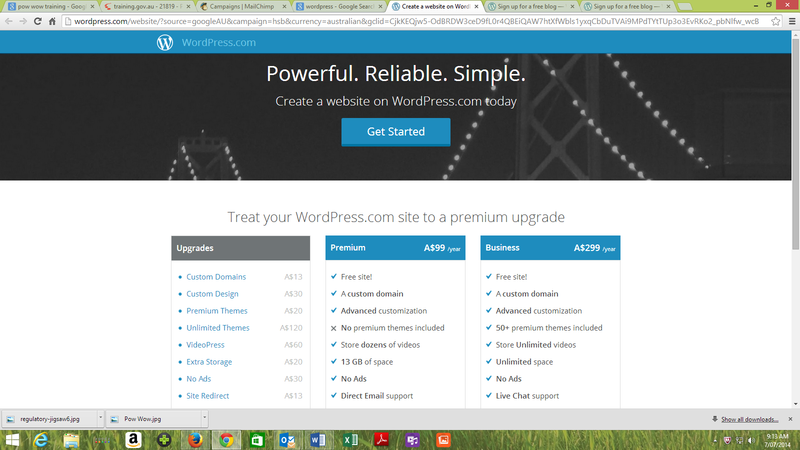 Go to the WordPress website to get started (click the “Get started” button, obviously). It’s probably worth purchasing your domain name – it’s just $18 a year – for example, http://www.the-scan.com is better than http://www.the-scan.wordpress.com. Once you have registered you will need to pick a theme – that is, what your site is going to look like – follow the prompts. There are plenty of free themes or you can purchase a premium theme (generally $40-$80). Alternatively you can purchase unlimited access to premium themes for $120. In any case, it is worth considering the premium upgrade at $99 which provides a domain name plus advanced customisation. The Scan has the premium upgrade to enable customisation. 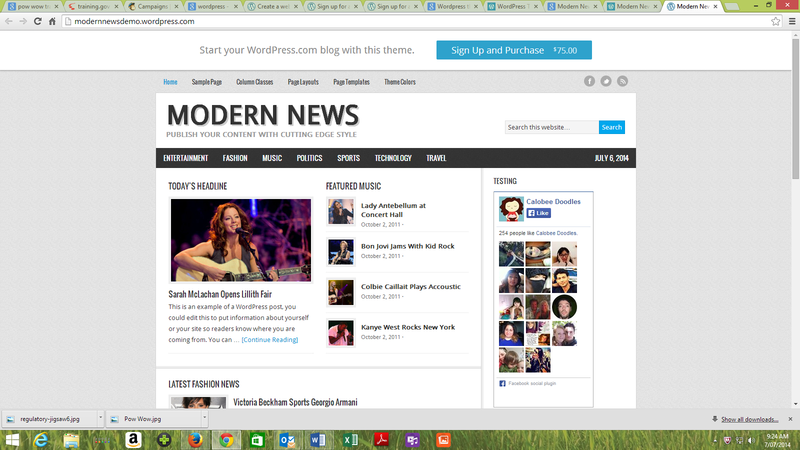 We use the Modern News theme. Here’s a really useful – indeed, necessary – tip: click on the Toolbar Toggle at the very end of the single toolbar and up will come other useful design and format options. 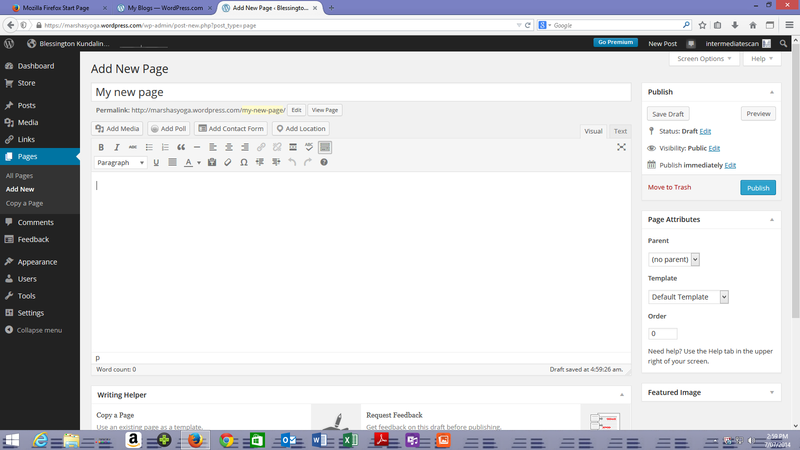 Once you’ve selected a theme, click the “Activate” button and you have a blog website ready to go. 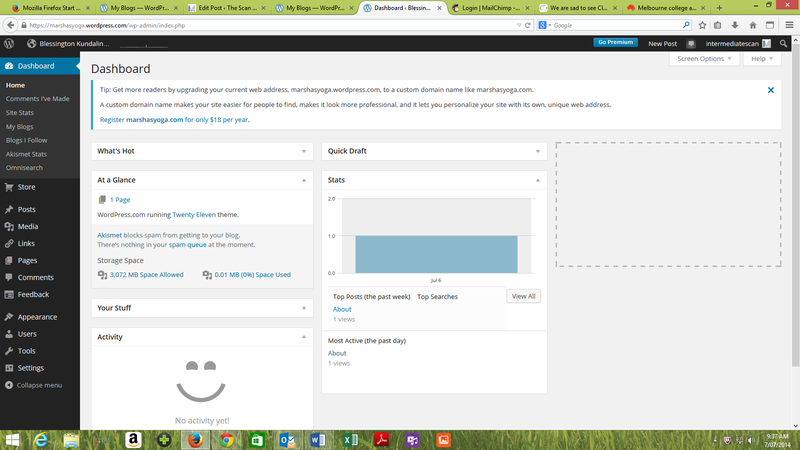 Customise the look and feel of your site (although that is limited for a free site and theme). You’re newly created site will come with an “About” page already loaded – scroll down the Dashboard menu on the left to “Pages”, click and then click “All pages” and then click “About” to view. First thing to do is create a “Home Page” – the page that opens when someone visits your site – either create a new page (click “Add new” under “Pages” on the Dashboard menu) or create the “About page as your Home Page. Scroll down the menu to “Settings”, click, choose “Reading” and then in Settings, designate “A static page” and choose the page (either “About” or the page you have created for the purpose). 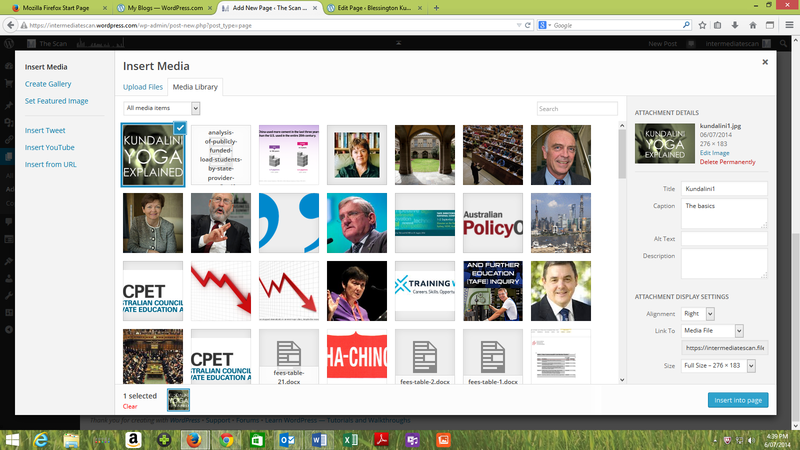 To create a new page, click “Pages on the Dashboard menu at the left of the screen and a sub-menu will display with options – click “Add new” – bingo – give it a heading (“Marsha’s new page”) and you’re ready to build the page. You want to add text – you can either draft straight to the page or copy and paste from somewhere – to paste, click the “Paste as Text Button” at the bottom of the Task Bar (a “T” in a clipboard icon). 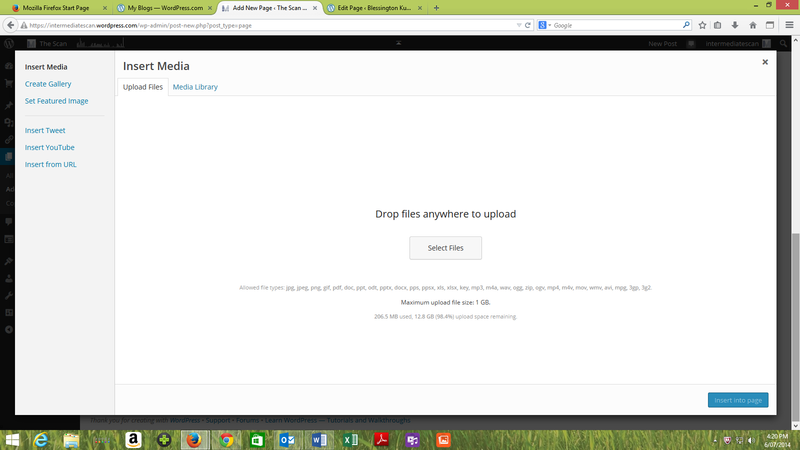 You want to add a graphic – click “Add media” button on the left just above the Task Bar and the Media Library will display – initially you will have nothing in the media library so click the “Up load file” tab and then click the “Select Files” button in the middle of the page to download a graphic from your computer. Depending on the size of the piccie, you might have a number of size options – from thumbnail up to large – this one has only 2 options – thumbnail and actual size (155 X 99) and full size (276 X 173). When you’re happy, click “Insert into page” button and bingo – it’s inserted – you can undo or edit an insertion by clicking on the piccie and a pencil icon and a delete icon will display – the pencil allows you to edit (say realign, resize, add a caption) and the delete removes it from the page (but still available in the library, unless you delete it from there). When you’re happy, click the “Publish” button on the right and away it goes.